Lotus Niraja - "Oriental Spice"
Featuring Su’ad, Astrea, Elena, Hagop Garabedian, Dwayne Green, Costas Maniatakos, Ron Sahatjian, Penny Messier, open mic dancers, and lots of open dance time! 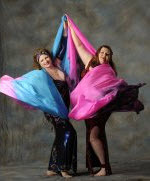 Desert Moon Dancers will be performing at the Brass Ring Academy and Cabaret! A Bellydance Extravaganza & Benefit! Tickets only $20 ($15 for performers)! Marco Polo - Dining and Dancing! Join the Desert Moon Dancers for an evening of dance in the banquet hall of the Marco Polo restaurant. Sponsored by Shalimar of BellyDance Connecticut. We are pleased and excited to announce the return of Spring Fling Connecticut! Join us for a day of dance classes and our traditional dance hafla. Workshops will be taught by Su'ad, Farasha, and our special guest instructor, Gia Khalsa! Yousry returns to the greater Boston area to teach a two-day workshop in Lakeville, MA. Desert Moon Dancers will be joining other guest dancers who have studied with Yousry in the Sahara Sunset concert/show on Saturday evening. 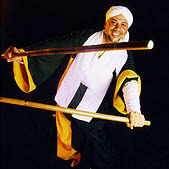 We will be performing our popular Rakset al Assaya, a traditional cane and stick dance choreographed by Su'ad and Yousry. Missed the Fall Fantasia show last September? Saw it, and can't wait for more? Su'ad and Farasha invite you to share in an afternoon full of beautiful and breathtaking performances by some of your favorite dancers, including YOU! Habiba - "Cairo in Connecticut"
For the 2013 master seminar, Su'ad and Farasha bring back the wonderful Habiba of Philadelphia. Habiba will be teaching combinations from the great choreographer, Mahmoud Reda, and an original choreography using these classic movements! It's time for Rakkasah East again! Pack up your dance clothes and costumes, take a couple of days off from work to take some workshops, and head for New Jersey!